You’ve been there before. You know you have. You plan and plan for your family’s visit to the Orlando area, pack and re-pack, secure lodging and park tickets, but forgot to leave time to relax while you’re on vacation! This scenario is so common (my family has been guilty of it as well!) that sometimes you need a vacation from your vacation when you return home. Is there a place in Orlando that lets you do just that- relax? You betcha! Hyatt Regency Grand Cypress is a resort that caters to families wanting to slow down and spend leisurely time together without having to go off property. My family and I had the pleasure of visiting the resort and made memories that will last a lifetime without ever having to leave the resort’s boundaries. 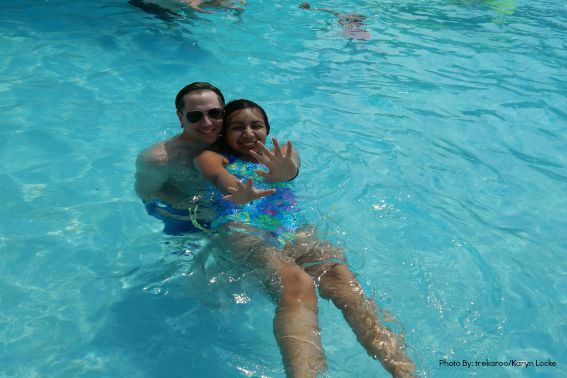 From lounging around in hammocks to swimming in the hidden pool grotto, we never had to take a step off the grounds and really found the essence of family time in the heart of Orlando. 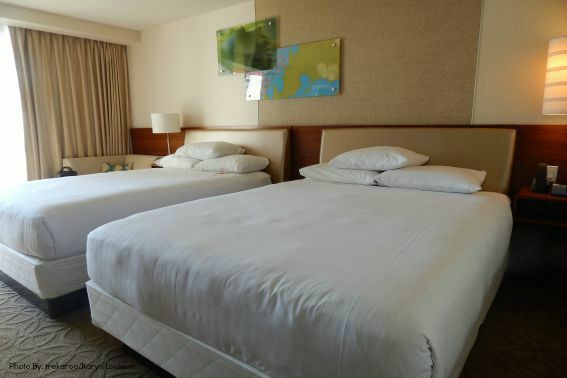 For the three of us, a two queen room was perfect. Even with a teenage daughter that requires loads of room for electronics, clothes, shoes, and souvenirs, we had plenty of room to move about and get out of each other’s way. At night, we often found ourselves out on the patio checking out the lit up pool area and lake. What a gorgeous sight, and a relaxing view! As for the bathroom, it was very roomy. With a glass-enclosed shower and tub, large vanity, and lots of space to walk around, it was lovely for two ladies getting ready for the day. The tub was a deeper-style and I appreciated the room when soaking at night. Cascade American Bistro is a top-notch restaurant located just off the main lobby. The attire might be resort casual, but the dining is definitely top-notch. My husband and I are very lucky in that we have a teen daughter who is a very adventurous eater and loves trying new foods, so when she learned that sushi was on the menu, a huge smile came to her face. We tried both traditional and veggie-style sushi and both my husband and daughter commented that the rolls were some of the best they’ve ever tried. My love of more traditional American food was well met, but with a fun twist. Perfectly cooked burgers and my favorite Southern dish, Chicken and Waffles, had a bit of a spicy kick combined with the sweet syrup drizzled on top. As for dessert? 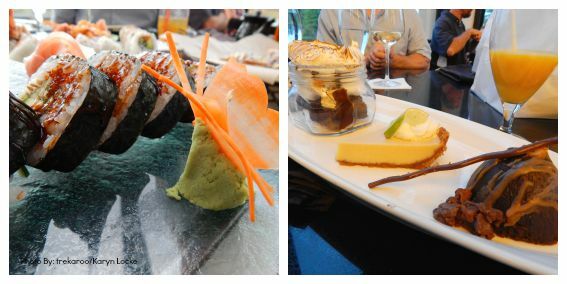 Large slices of chocolate cake, key lime cheesecake, and a creative s’mores offering that were all so delicious we had trouble deciding which was our favorite! Right now, Cascade is undergoing a major renovation and is expected to open with a re-theme. I can’t wait to check out all of the new, delicious details this fall! 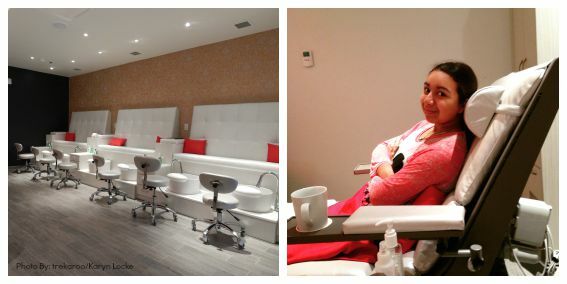 Looking for a little pampering, my daughter and I headed to the Marilyn Monroe Spa for a Mother-Daughter Pedicure. The spa is beautifully themed in black, white, and that traditional Marilyn lipstick red and was the perfect way to spend a morning together. Our nail technicians discovered that we loved Disney and gave our toes a special touch – Mickey heads! 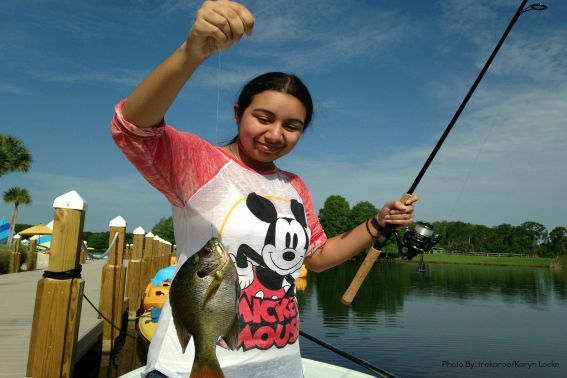 Whether your child is an avid fisherman or not, the First Catch program at Hyatt Regency Grand Cypress is worth the cost. A catch and release program, my daughter spent around 30 minutes with the resort’s pro and reeled in several fish before receiving a certificate to show off her new skills. I loved standing on the dock and taking photos of her smile. Hyatt Regency Grand Cypress does charge a daily resort fee, but with that fee comes unlimited use of all of the resort’s on-site activities. Bike rentals, hiking, walking, aqua cycles and kayaking, even a small golf course is available for use. Little ones will love the splash pad, bigger kids will love the three pools – each a different temperature and style. My family’s favorite water activity was the grotto in between the pools. Hidden from sight, the shallow water was a heavenly respite from the Florida sun and the waterfall was fun to swim through to get to it. 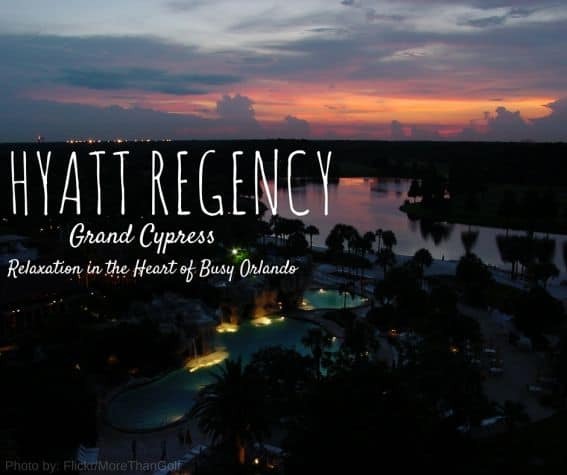 Disclosure: I was hosted by Hyatt Regency Grand Cypress to give you fine folks the scoop on what makes it so great for families. I was not asked to state a particular point of view and all opinions are my own!